It’s a prophecy as old as time, it reverberates through the songs and epic poems of our ancestors, it’s carved into the walls of caves of the oldest Homo Sapiens. It felt like a pipe dream for Community fans for so long, that it felt foolish to dream. But dream we did, and it seems that all hope is not lost, because Community creator Dan Harmon has teased that the project might go ahead after all this time. He tweeted to a fan who asked the question that’s on the mind of everyone who is a fan of the cult favourite comedy show. Working on it! I mean…working on working on it at least…there’s glimmers of hope in the distance for the first time in a long time. That seems pretty hopeful for someone who’s known for his existential pessimism, so this could actually be happening, people! 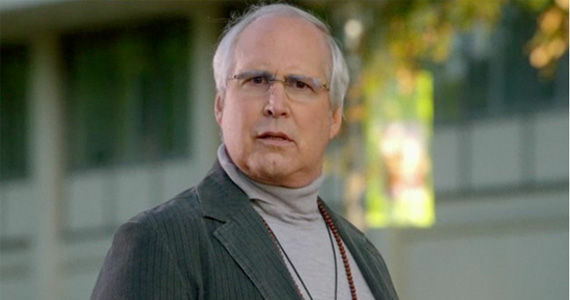 Community has had a difficult time since its inception, it saw modest success on it’s original home on NBC, before Harmon left during the fourth season. He returned for seasons five and six, but season six saw it move from NBC to streaming service Yahoo! Screen. Pretty much all the cast members, aside from Donald Glover and Chevy Chase who play Troy and Pierce respectively, have voiced an interest in returning to the show. Chase and Harmon had a tumultuous relationship during production of the first few seasons, and Chase left after season three on bad terms with the creative mastermind behind the show. While things are still in early development, this is still really exciting news! In the meantime, we have Harmon’s other cult classic, critically acclaimed show Rick and Morty. Maybe we’ll see Rick’s whole nine season arc to get the Sezchuan sauce before we get the Community movie.